Here’s a look at what’s coming out from DC Comics for October 2017. A full list of solicitations is available here. “Scooby-Doo Team-Up” #31 (October 2017). Art by Dario Brizuela. I notice “Action Comics” is up to #991 this month, so the landmark issue #1000 should be out sometime early next year. If wondering, Dell’s “Four Color” series is probably the highest numbered US comic. From my look at previous “Action Comics” anniversary issues, issue #1000 will either be an actual landmark special, or (less likely) just another forgettable tie-in to an ongoing storyline. Debuting this month is a six-issue miniseries featuring “Ruff and Reddy.” They’re Hanna-Barbera’s first made-for-TV series, and debuted in 1957. The series featured the cliffhanger adventures of Ruff, a cat, and his pal Reddy, a dog. It’s being written by Howard Chaykin, and given his problematic recent efforts, I can’t recommend buying this series on that alone. 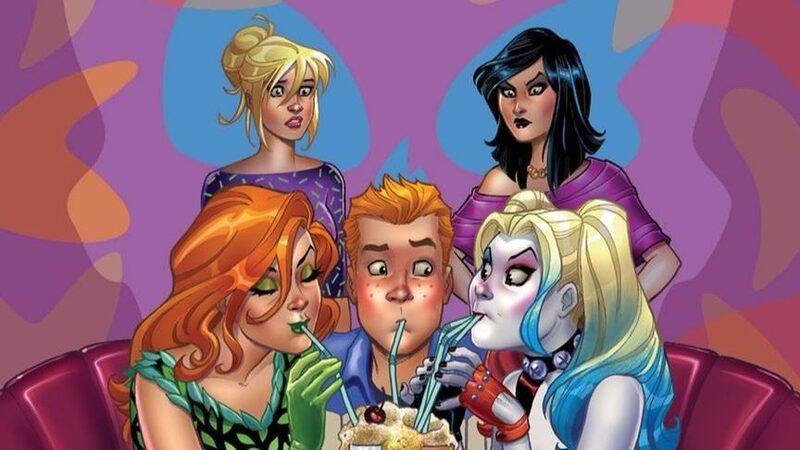 In inter-company crossovers this month, we have Harley Quinn and Poison Ivy teaming up with Archie’s Betty Cooper and Veronica Lodge. Or rather, the former two kidnapping the latter two in an attempt to prevent Mr. Lodge from draining some wetlands. Hijinks presumably ensue. 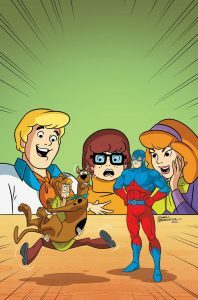 This month’s “Scooby-Doo Team-Up” features the Atom! I assume (per the series’ retro tone) it’s the Ray Palmer version of the Atom, not Ryan Choi. The regular Scooby-Doo comic, meanwhile, features Velma in the hospital. “The Legend of Wonder Woman” gets a trade this month, just in time for the holidays. I assume it’s also in time for her hit movie’s DVD/Blu-Ray release. There’s also a few other Wonder Woman related collections coming out, including a trade of her earliest Golden Age stories. Speaking of trades, DC’s releasing a holiday special this year, “A Very DC Universe Rebirth Christmas.” Despite the name, the book includes a reprint of a previous holiday special, and features a story with (Hanukkah-celebrating) Batwoman.